John Bruce Hollingsworth was born in Indianapolis, IN, on November 10, 1934. He moved to Harlingen in 1945, and graduated from Harlingen Highs School in 1952. In 1956, John graduated from Southern Methodist University with a BBA in Business and Law, and attended U.T. Law School in 1957. He completed the Executive Program at Dartmouth College in 1975, and the Advanced Marketing Program at Harvard University in 1981. After his discharge, as a Captain from the USAF in 1959, John joined Union Carbide in 1960, and was promoted to VPGM in 1979. He became CEO of AC West Virginia Polyol Co. in 1990 and VPMG for Arco Chemical Company in 1991 before retiring to Palm Valley in 1992. 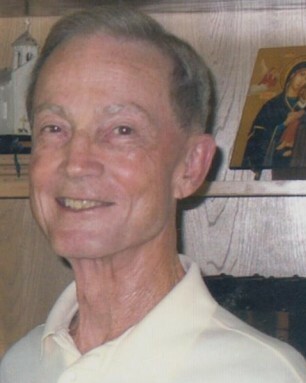 John was a member of the Rotary Club of Harlingen, and St. Alban’s Episcopal Church, where he served as head usher, lay reader, and vestryman. He was a past president of his Rotary Club, and the RGV Museum Board. John was a founder of the Harlingen Chamber’s Creative Retirement Program. He served on the South Texas Chorale Board, the St. Alban’s Day School Board, as a councilman for Palm Valley, The STEMS Board, and was a graduate of Leadership Harlingen. John was an avid traveler, having visited 48 states, and 53 countries during his corporate life, and retirement. Survivors include wife Marcia, of 60 years; son Glenn, wife Linda; daughter Melanie; granddaughters Lauren Reeves, husband Justin, Pamela Galbraith, Kristen Hollingsworth, and great grandson Archer Reeves. Also, nieces, Julie and Susan Summers. Throughout his life, John strived to make a meaningful contribution to society, and to live a life of unquestioned integrity. He was devoted to his God, family and friends, and endeavored to live his life in a manner that demonstrated his devotion. A memorial service will be held at St. Alban’s Episcopal Church on Saturday, January 12, 2019 at 11:00 AM. In lieu of flowers, memorials may be made to St. Alban’s Episcopal Church, 1417 E. Austin St, Harlingen, TX 78550.